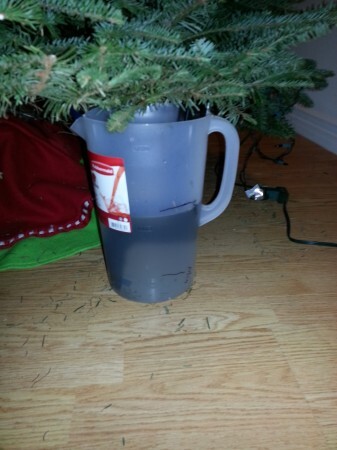 I didn’t like the Christmas Tree watering options out there. None had everything I wanted, so I made my own version. It has been working great for over a week. Tree is all green and happy. 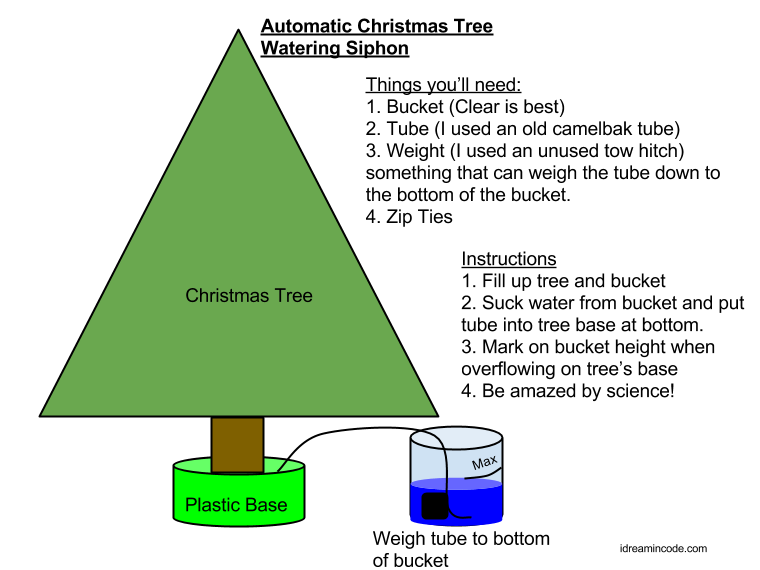 I’m happy that I don’t have to go under the tree ever again. Science is happy I used it. Feel free to make a version of your own.